The jacket has 7 external and 4 internal utility/storage pockets. A stash-away pocket in the collar for an adjustable peaked hood that is waterproof. Velcro cuffs helping with the insulation. 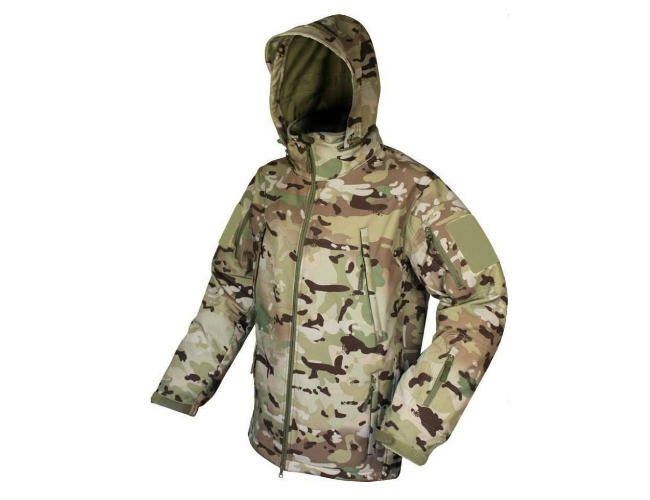 Laminated soft shell material with inner fleece lining. Adjustable hood with bungee adjusters at front breast pockets. Available in size S -2XL. Velcro on arms for bages or logo.